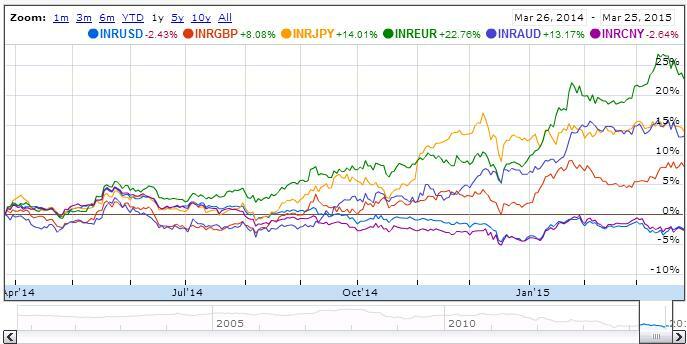 Hi Aditya, Good Day, what will be the forecast for sgd to INR for September & October. Is it increase from current rate 47.3. Good day to you too. I think SGD INR can touch 48 in next 2 weeks and 47 should be a good support. A clearer trend would emerge after 12 Sep and 18 Sep, Singapore elections and fed meeting. Surprising, SGD is so volatile, it went down all the way to 1.39 and now back to 1.35 levels. Next move my guess is back towards the 1.4 mark, especially if MAS eases further. Tomorrow RBI will in all probability reduce CRR and that should help Rupee ease off a bit. As discussed earlier – the SGD INR touched 46 today in the spot market, overnight SGD had strengthened to 1.345 and now trades around 1.352 mark. 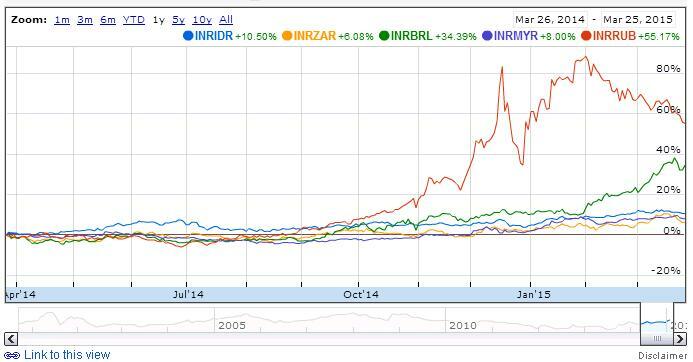 I expect more SGD strength in the following weeks along with moderate Rupee weakness. I was wondering how the REER is calculated because it is just the exchange rate against a basket of currencies then INR has always been depreciating, only last year it has appreciated so how come INR is overvalued? Compare any currency GBP for example. GBP used to be Rs 80 and now it is Rs 90+, SGD used to be Rs 26-33 and now it is 45. Then after some research I realized that REER also takes into account the interest rate differentials. So according to REER, because our interest rates are higher than most countries, for INR to be correctly valued, it has to keep depreciating forever. What a flawed logic is this. I hope Rajan cuts rates, today sensex and bank nifty were up due to rumours of rate cut. All very good points. My view is that our consumption and purchasing power will improve with lower levels of inflation and higher real rates and that will compensate for pain in the export sector. We are still a domestic consumption economy and not so much an export oriented one. To me the biggest problem for India has been high inflation which has led to low levels of savings allocated to financial assets, instead Indians still buy gold and property. This has to change. What we are seeing now, is people realizing that financial assets like FDs and Stocks are better than property and gold. We need property prices to come off and Indians stop investing in gold. We are already seeing property prices stagnating and sensex hitting new highs. This is exactly what we want and not the other way around as it was when rupee was falling like a stone. For this we need a confidence that the currency will remain strong, although I agree with all your points. I just hope that the benefits of stronger currency are higher atleast for most middle class Indian consumers. Question is that does Mr. Modi want a strong Rupee for political reasons or economic reasons? Stronger Rupee does not mean India is a strong country – if that was true then China would be a weak country!! However today China has over 2 trillion dollars in Dollar Reserves and runs a surplus on the trade account. We could import cheap steel from China – but then what happens to the roughly 250,000 people directly employed in the Steel Industry? Where do they go when steel plants shut down? Job losses and unemployment would lead social issues like crime and domestic violence. Just like Steel India could import other things from overseas as well – clothes, cotton, grains all cheaper with a stronger Indian rupee but that would kill the relevant industries. Today farmers commit suicide due to failing monsoon then there would be suicides due to unable to compete with imports. in that case Government will resort to raising duties and adding subsidies – both of which will undo the economic reforms that have come through in past decades. A bigger question is if we buy steel from China what are we going to sell to them? India can afford to have a strong rupee when the country is in a position to innovate and export value added stuff. When the workers are productive i.e. no more walking in late in office or in manufacturing plant, having tea, chit chatting and then starting work (something Mr. Modi has experienced with his own bureaucrats). Rupee is overvalued because FIIs love our debt markets and have completely used up the limit for govt bonds and now corporate bonds also they are close to using up the limit. Regarding, devaluing the rupee, it is easier said than done, there are trade offs in accumulating reserves, it creates inflation. Your best bet for rupee depreciation is if there is some global risk aversion and FIIs start selling, then RBI can stop selling dollars and let the Rupee depreciate. Anyways, RBI has always maintained that they will only smoothen out the volatility and not target a specific level. It’s very easy to devalue the rupee – all that’s needed is some statements by RBI governor and or finance minister that rupee is overvalued. Every central bank resorts to jawboning before any open market operations. As with FII they are opportunists, if the Govt caps the amount they can buy then how do they bring extra dollars in which in turns forces RBI to sell dollars to maintain a exchange rate? Policy decisions have to be made with a long term view – if the indian industry dies due to being uncompetitive in global markets due to strong currency then all this smoothening of currency rates is of no good use. Falling exports for 4 months in a row shouts for itself. India is still not in a position where domestic consumption is sufficient to sustain domestic production. So sooner the rupee weakens the better it is for the Indian economy and Mr. Modi’s Make in India plans.